It’s really encouraging to have people give you feedback on your recipes. When people can give you feedback, a sense of community is created on your website and it encourages more and more people to join. 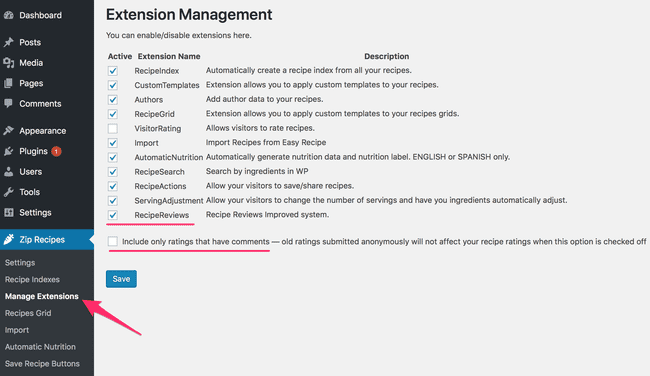 Recipe Reviews allows your visitors to add a comment with their recipe rating. You’re no longer left wondering what they loved about the recipe — they will give you a 5-star rating with a comment! Your visitors will now be able to rate your recipes and leave a comment along side the rating. You can approve these comments or disapproved spam. 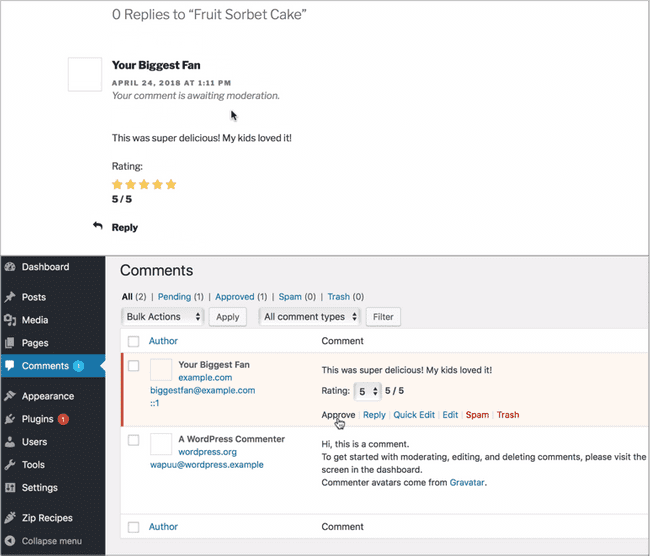 Recipe Reviews supports JetPack comments as well as WordPress comments.